ECO-COPEO® is perfect for covering large areas where quality and sustainability is required. 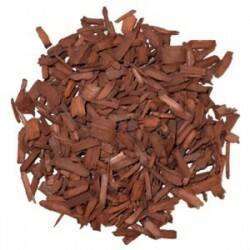 This chestnut mulch is economic, long-lasting and doesn’t include recycled or previously used materials. It is particularly adapted to windy areas and slopes. MULCHEO® Poplar Natural is a poplar wood chip, exclusively derived from the Vosges Forests. 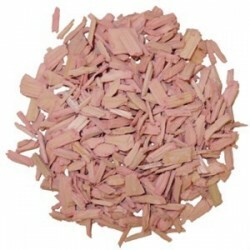 This mulch does not contain any recycled waste and has not been chemically treated. Using those ecological wood chips in your garden is the best way to protect your plants and to make your landscape look clean for years. OKEO® is an oak mulch which comes from sustainably managed forests. This mulch is economic, long lasting and doesn’t include recycled or previously used materials. It is ideal for medium and large surfaces. All plant cultivation accepts this mulch without any problem. PEUPLEO® is very clean poplar mulch derived from the pallet or crates industry. The advantage of Poplar is its degradation is slightly faster than other types of wood. While poplar mulch gives a modern look to landscape, it also provides structural improvement to soil. PINEO® Natural is a pine mulch manufactured from debarked pine logs. This mulch is economic, long-lasting and doesn’t include recycled or previously used materials. Using this ecological mulch in your garden is the best way to protect your plants and to make your landscape look clean for years.